I created a custom field with type "string" so that I can have a list for the attr "size" like "50; 56; 62; 68; 74; 80; 86; ... 140+; >140". 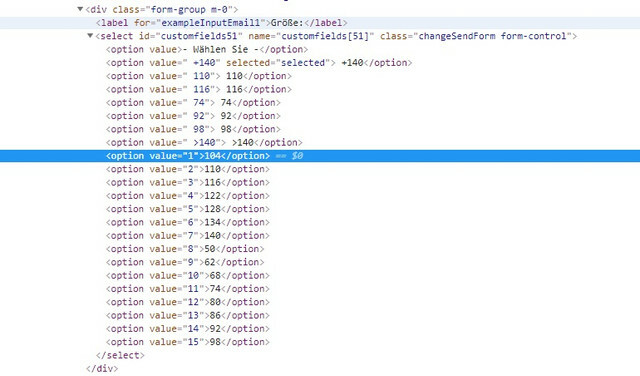 In the backend, when I am creating a new product and choose the size for the product from the dropdown list by the custom fields, everything is fine. there is the right sorting list. So, how can I fix this issue? But I also have another strange thing. The values of the list are not they should be. See the screenshot I made. I think you should use the 'Multi Variant' custom field type for your purpose. Example screenshot below.